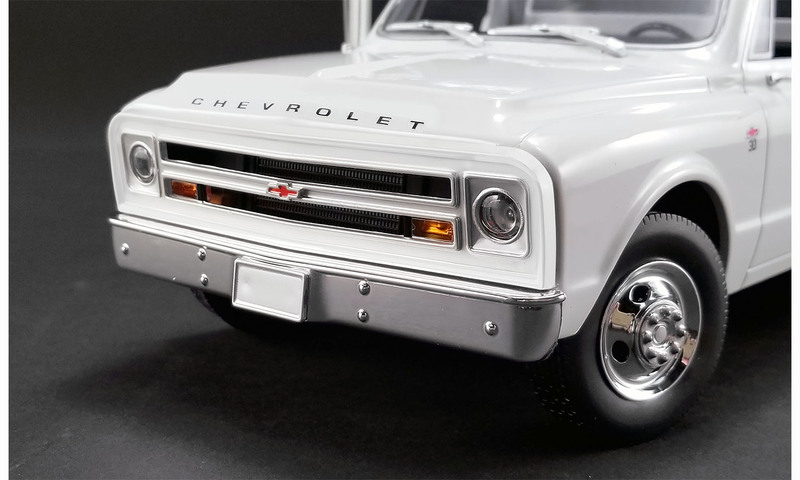 ACME is proud to announce this all new 1:18 Chevy C30 ramp truck tooling! 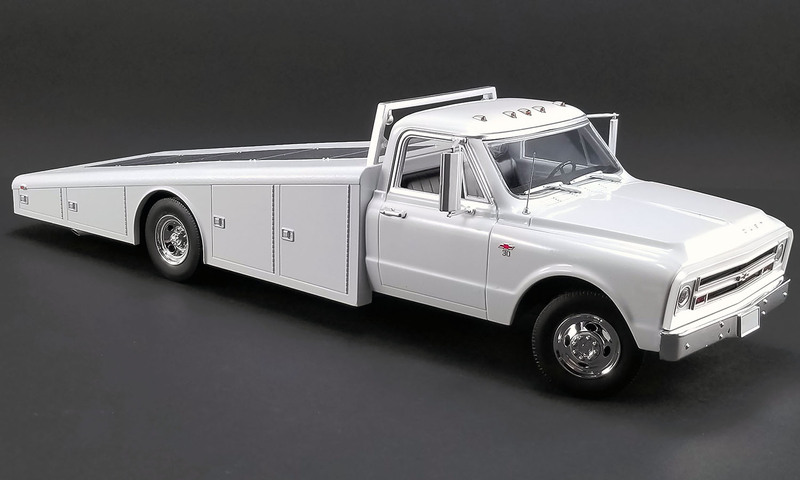 These trucks were a critical piece of any race team carrying not only the car but all the tools, equipment and supplies critical to a race car and crew. 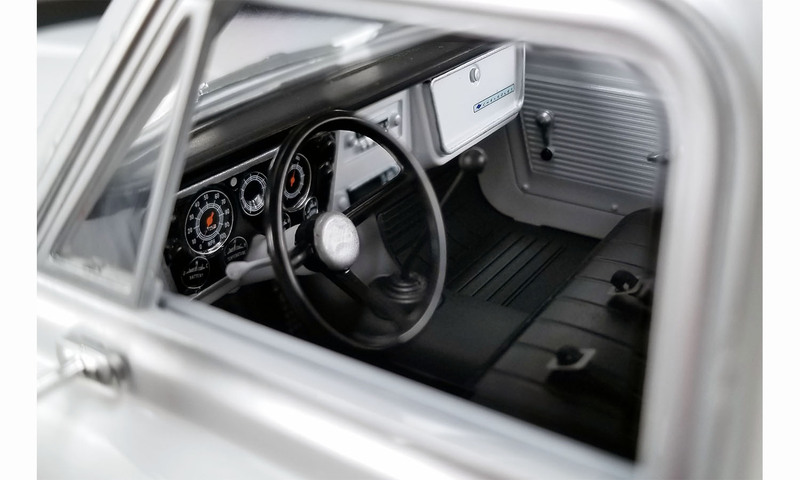 This model features poseable steering, fully detailed interior with manual floor shift and bench seat. You can choose to add the removable rear rack or run without it. 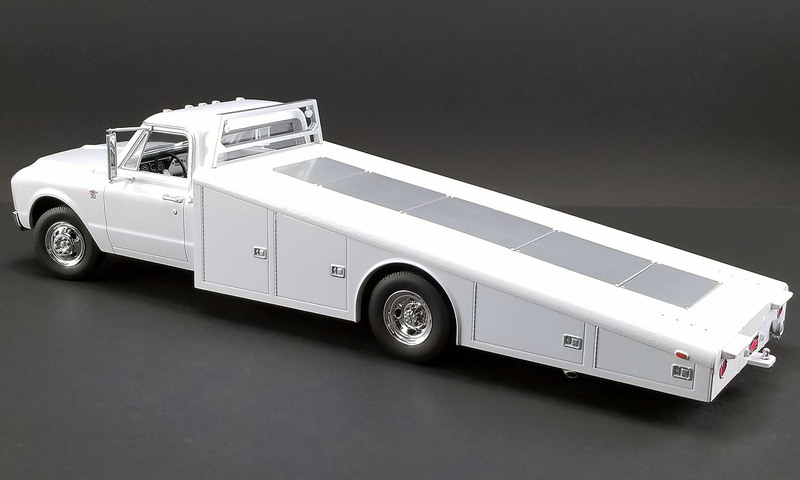 Pull out the ramps from the bed and load your favorite race car and head to the track! Don’t forget you can adjust the wheel chocks in the rear for different length cars too!